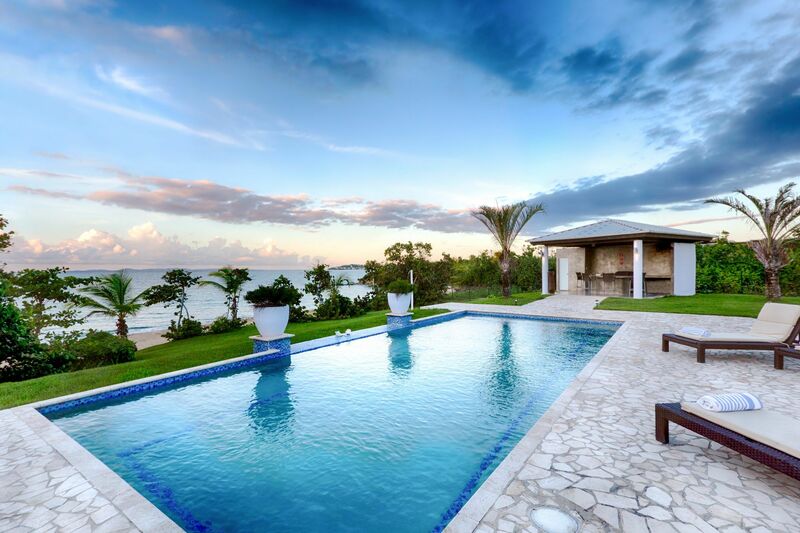 Martineau Belle Playa is a spectacular oceanfront luxury villa located inside the premises of the W Hotel, the most exclusive development in the island of Vieques, Puerto Rico. 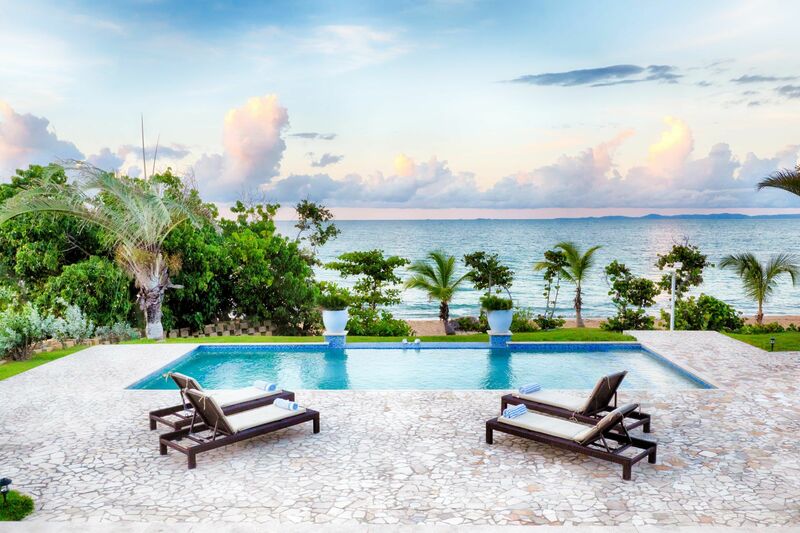 This Vieques villa rental is true oceanfront and only steps away from your own semi-private beach. The elegant and modern decor inside combines with a genuine tropical setting outside to give Martineau Belle Playa its beautiful uniqueness and magic. This luxurious villa has been the choice for many brides and grooms to celebrate the perfect tropical destination wedding for it’s alluring views, oceanfront location and romantic private setting. Groups of friends and families from all over the world have enjoyed relaxing stays and many have Martineau Belle Playa their home away from home in Isla de Vieques. Martineau Belle Playa is a 4,000 square foot vacation home featuring two floors, three bedroom suites, a fully equipped kitchen, spacious indoor and outdoor spaces, and a private pool just steps from the beach and all the amenities you would need to feel right at home. Each space at the villa seduces you with breathtaking azure ocean views and wave lullabies. Martineau Belle Playa features three luxurious bedroom suites, each with its’ own spa style bath, shower, walking closets and private balconies with ocean and island views. 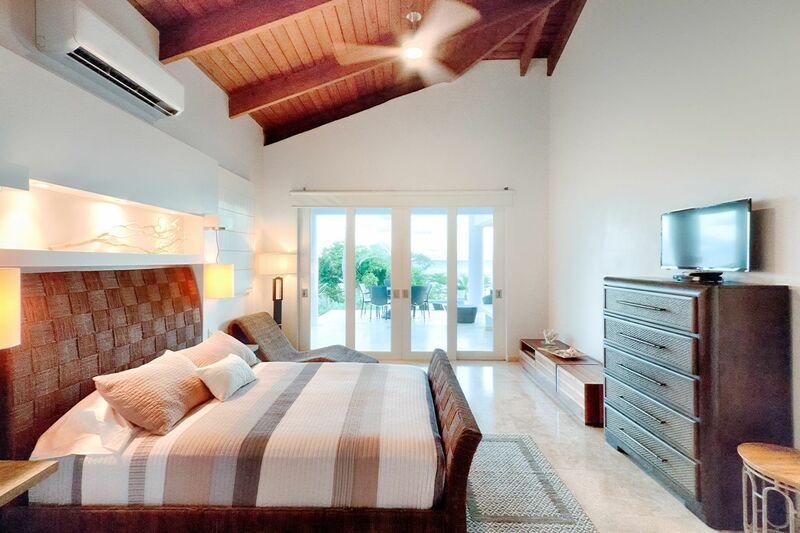 The Master – The spacious master bedroom is loved by honeymooners and romantics. The ocean blue outdoor blends with the interior creating a relaxing romantic ambiance. Be lulled to sleep by the ocean sounds and wake in the morning kissed by the sunshine that invites you to get up and explore the beauty and magic of Isla de Vieques, Puerto Rico. The master offers: King Size Bed, Ocean Views, Private Balcony, Spa Bathroom with open shower, jacuzzi tub, double vanities. Vanilla and Chocolate Suites – There are two suites on the main floor. The living spaces are in the center of the villa, there is one suite on each side of the villa, this arrangement provides optimal privacy for guests sharing the villa with friends / other couples since each offers their own ocean view patio and bath. The suites offer: Queen Size Beds, En-Suite Bath, Private Patio, AC Units, Flat Screen TV’s, and DirectTV Programming. Step outside and you’ll be greeted by cool ocean breezes that invite you to just sit down and let all your cares slip away. Covered patio great for enjoying breakfast or dinner at sunset. Gazebo with chairs great for serving drinks and having a barbeque. Beach just steps away from the pool. This luxury villa features open and spacious living spaces with ocean views from every corner. The living room offer comfortable seating, entertainment center with a large plasma TV, DVD/CD player with a high power music system. I-Pod ready and wireless internet capability through out the villa. 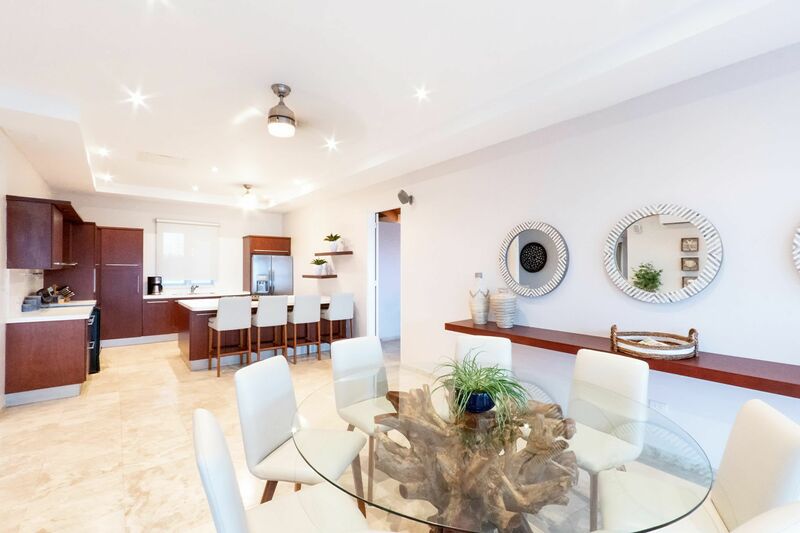 The villa also features a dining room that seats 8 perfect for sharing a home cooked meal with fresh produce from the nearby Super Market or cooked by one of our preferred Chefs. 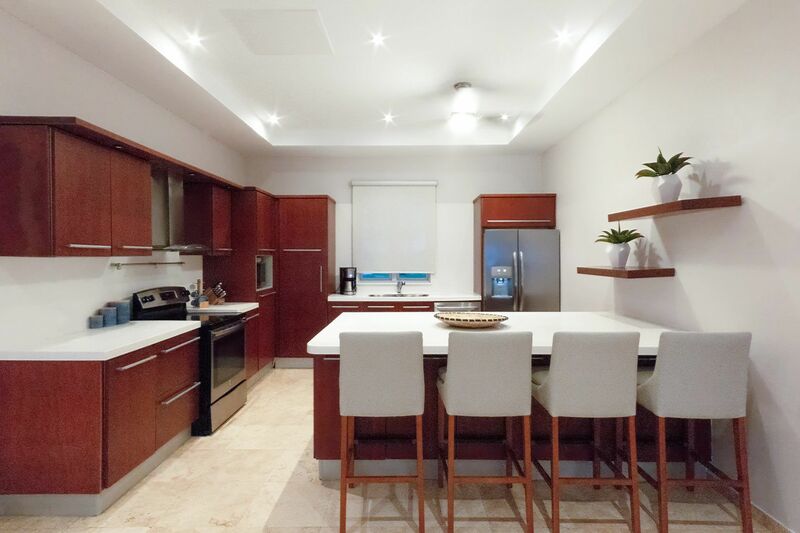 Martineau Belle Playa also offers a fully modern equipped kitchen with everything needed to cook a gourmet meal. The island has many wonderful restaurants and in addition you are welcome to enjoy the fully stocked modern kitchen. We will be happy to arrange chef service so you can come back after a day of exploration and have dinner ready which you can enjoy inside on the dining space or poolside to the sounds of the waves. We can also arrange a romantic dinner on the beach. 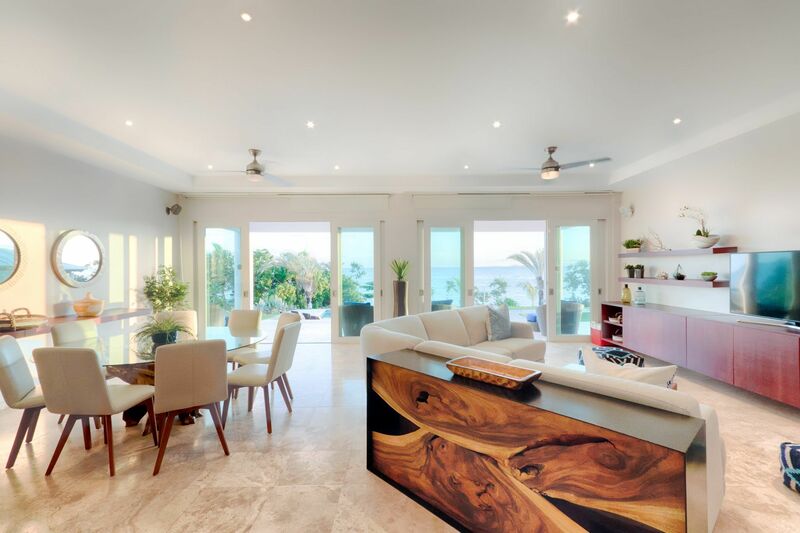 Martineau Belle Playa is a spectacular oceanfront luxury villa located inside the premises of the W Hotel, the most exclusive development in the island of Vieques, Puerto Rico. This Vieques villa rental is true oceanfront and only steps away from your own semi-private beach. The elegant and modern decor inside combines with a genuine tropical setting outside to give Martineau Belle Playa its beautiful uniqueness and magic. This villa is true oceanfront and only steps away from a semi-private beach. The villa was professionally designed with elegant modern furniture yet unpretentious for a comfortable feel.